Whether you’re preparing for an apocalypse or heading into the wilderness for camping or hunting, a survival knife is a must-have piece of equipment that can make a ton of difference in how successful and convenient your trip is. From skinning game, building a shelter, splitting firewood, opening cans, cutting rope and anything in between, survival knives are the most sought-after survival tools Australia wide. However, there are many different variants of survival knives, some of which are superior to others. So, naturally, the question arises – how can you differentiate a good from a bad survival knife? Well, there are a few important rules you should follow. Although folding blades are convenient and useful in many areas, a survival knife should always have a fixed blade. The main reason for this is the fact that the pivot or joint of a folding knife is its weakest point, which makes it unreliable when you’re putting it through a lot of abuse in survival situations. A fixed blade knife, on the other hand, has a much more stable blade that you can readily use for prying, thrusting, chopping and cutting. 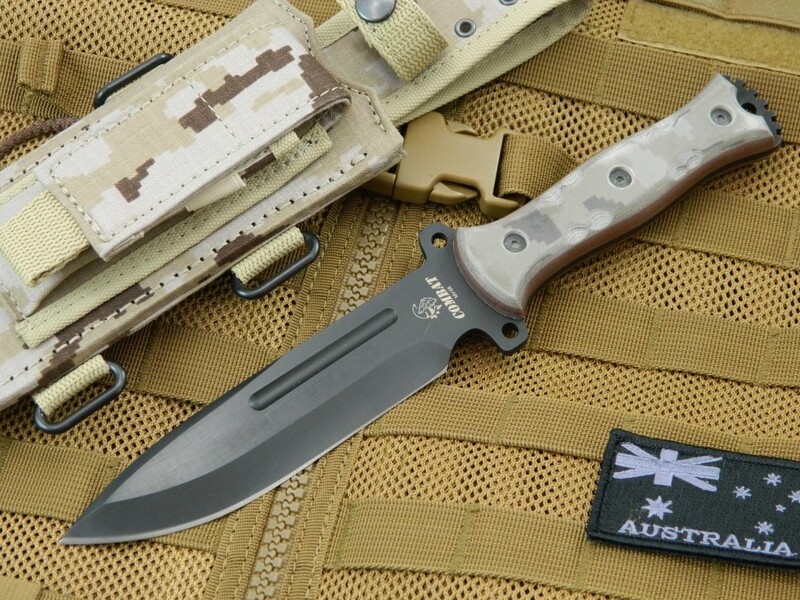 Furthermore, survival tools Australia experts claim that fixed blade survival knives are much easier and faster to deploy, which can matter quite a lot in emergency situations. A blade having full tang means that the length of the blade extends all the way to the bottom of the handle. A full tang knife is more reliable and stable, allowing you to use more force without having to fear that the blade will snap, or loosen up, which can be extremely dangerous and injure you seriously. On the other hand, with a full tang knife, even if you completely ruin the handle, you can wrap the tang in a rope or a parachute cord and still have a reliable survival tool. There’s a ton of different steels on the market nowadays, and you definitely want to avoid the cheap Chinese-made steel knives from eBay or Amazon whose soft steel won’t hold its edge. Shop around and find a knife whose blade is made of either carbon or stainless steel. These steels are incredibly strong and reliable. Carbon steel is easier to maintain than stainless, however, you might have to lubricate it every once in a while to keep it corrosion-free, whereas stainless steel is completely corrosion-resistant but requires maintaining.